Good morning everyone! 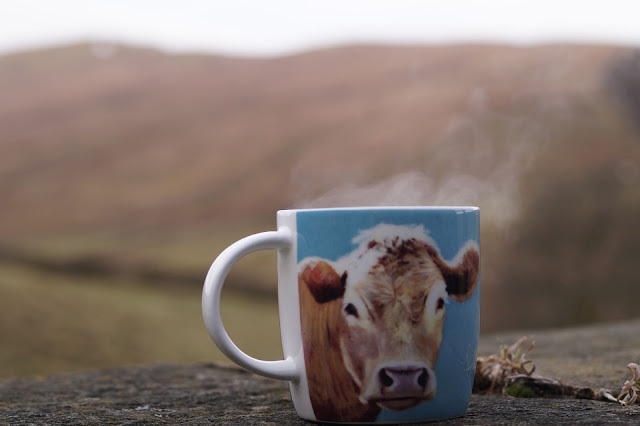 It may be Monday but I am feeling refreshed and restored after sneaking away for a week of fluffy slippers, open fires, steaming coffees and the like. The first segment of the year has been such a drain for me and I was desperate to get away for a break, a change of scene and to relax in completely different surroundings in the way that you can really only achieve when in a fresh environment. I booked a self catering cottage in the Yorkshire Dales; somewhere I wasn't especially familiar with in the hope of some new countryside to explore. The view from our doorstep was to die for on clear mornings; hills to the left and right and a valley connecting the two, an unobstructed panorama which no photograph could do justice. The number of shots I tried to capture my steaming coffee and the mountains (and failed). 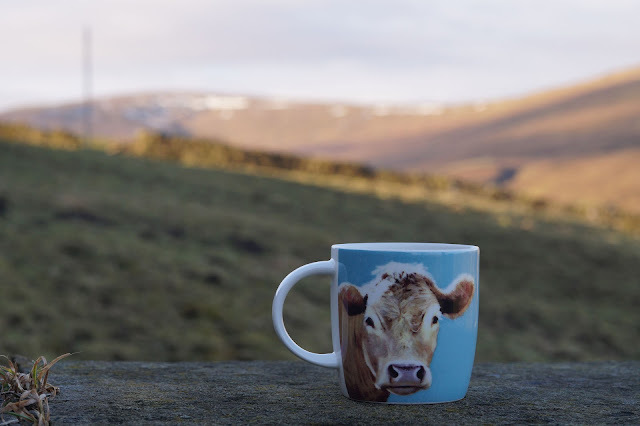 I thought these cow mugs were a bit of a taunt considering how much I loath encountering cows on walks though it transpired the owners had a bit of a thing for them. Typical. In serendipitous timing I was sent a beautiful pair of slippers from Celtic & Co which arrived for me to pop straight in with my packing. It's been years since I've had a pair of slippers as the previous ones have always been cheap and cheerless only retaining a bit of charm while new before succumbing to slopping around and falling apart then being discarded. 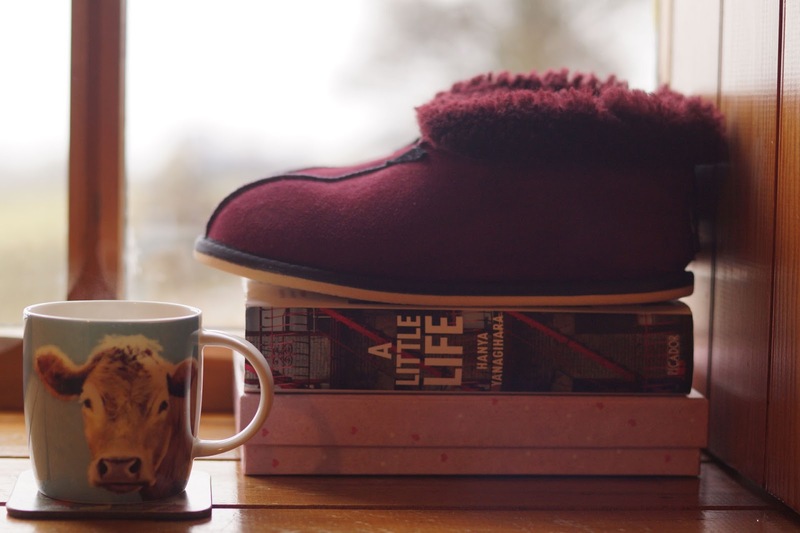 Celtic & Co have an astonishing array of slippers, outerwear, women's sheepskin boots and knitwear made from natural fibres (even the slippers alone have a massive range) and there's very much an emphasis of keeping things natural, sustainable and recyclable about the company ethos. 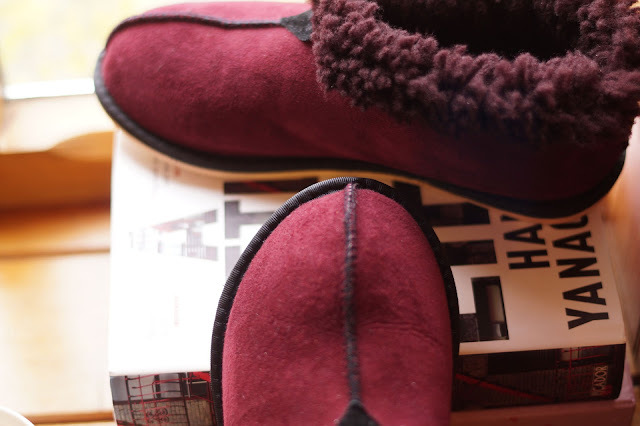 I chose the sheepskin bootee slippers in the colour claret - there were ten colours available of which I was tempted by the green, blue and lilac but plumped for this sumptuous, rich red. 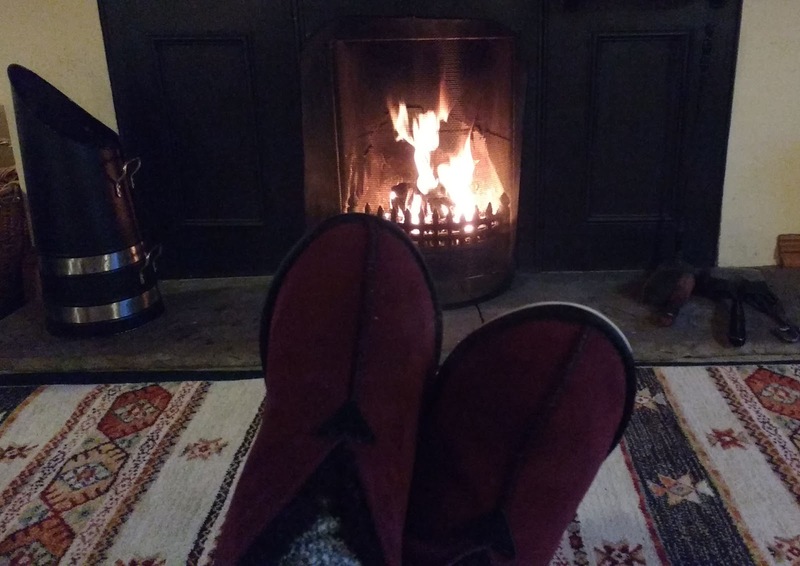 Oh heaven; wearing the cosiest slippers in front of an open fire. It was a blissful arrival once we had unpacked and just sat down to relax. The sheepskin is soft and luxurious. 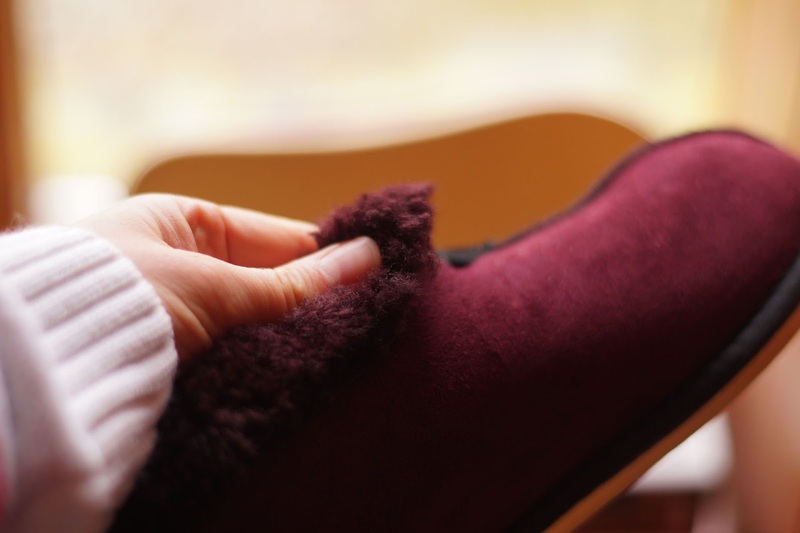 The helpful instructions brief you on putting your foot inside and not to worry that it's too tight and the interior needs to adjust to your foot (it soon does) and makes for a snug, cosy fit. The cuff can be turned down (as seen) for a fluffy collar or turned up to snuggle your ankle on cooler nights. I am very impressed, they are wondrous! With sturdy soles they are safe to wear without feeling too, too rigid. This design is a happy blend of traditional and modern; I can equally picture my grandmother wearing a pair as well (Christmas idea, ping). 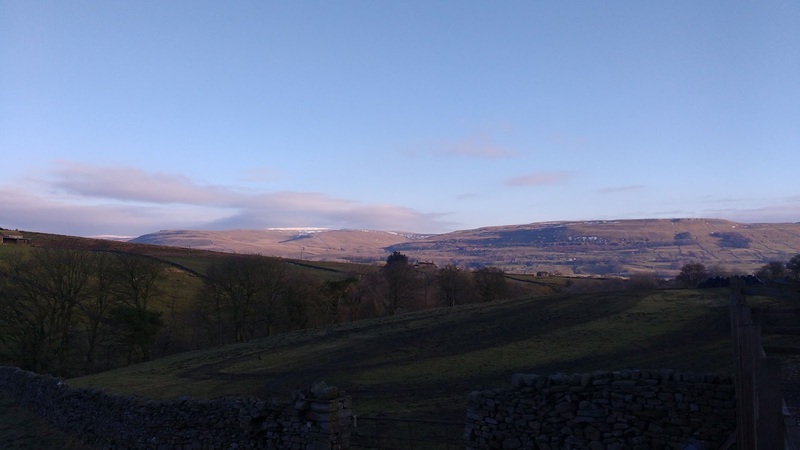 My other main ambition for our week away was for not feeling too tied into doing any one thing in particular, to go with the flow more instead of getting frustrated with not getting out enough/not reading enough/not feeling 'on holiday' enough, just to not think about things too much. 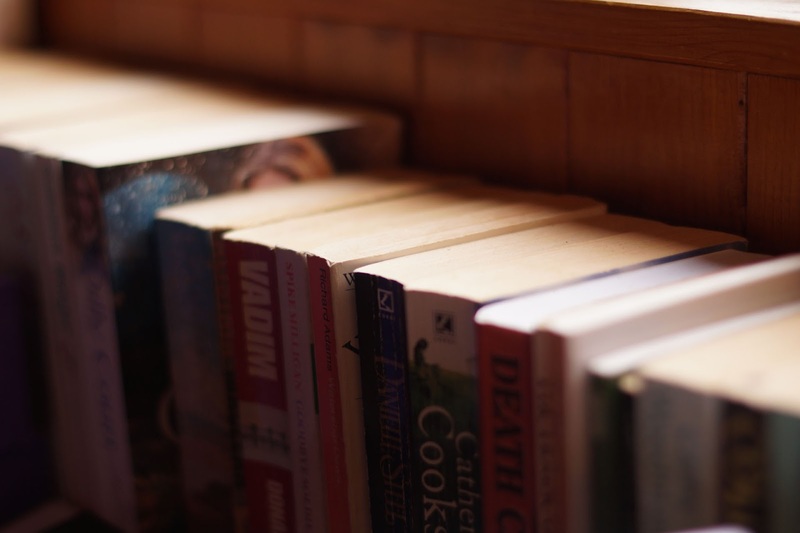 I did read A Little Life by Hanya Yanagihara which was heavy in both the sense of it being a whopper hardback tome as well as being an emotional wrecker too. Not a usual holiday read but I'm glad I was able to dedicate enough time to getting through it in just over a week as it would have spanned months at my regular pace (and couldn't have been taken anywhere near a bath). 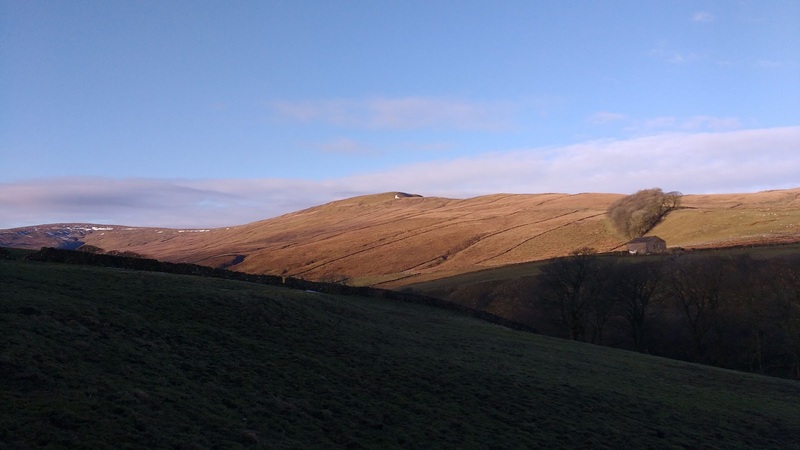 There are going to be a number of posts from our time away; walks and castles and a few other oddments too. It's been good to get away and although all breaks come to an end it's always a pleasure to look back at the moments (sometimes already forgotten) and catalog them for future reference. Many thanks for Celtic & Co for sending me the most fabulous pair of slippers which I'm sure will serve me well for a good long time to come. All content and opinions my own. I adore my slippers and Celtic & Co ones these looks really good! It is annoying when they fall apart or lose their comfort factor in no time at all. It looks, and sounds like you had a good time away. Sometimes you just need to stop and recharge. 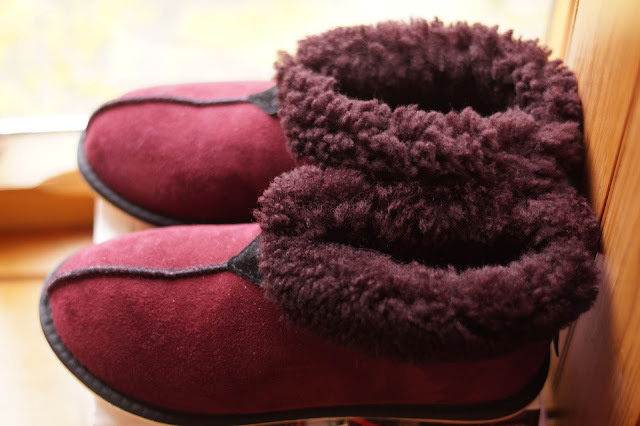 I ADORE sheepskin slippers! 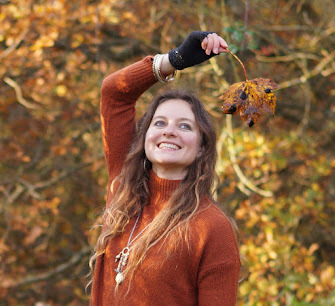 I had a pair that I bought in Cheddar Gorge that lasted years (I still have them but they have a massive hole in them and then Mum bought me a handknitted pair lined with sheepskin and honestly, couldn't go back to Synthetic slippers. Very envious of these! They are gorgeous.